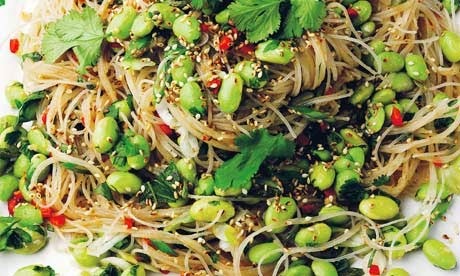 I recently discovered Yotam Ottolenghi's Warm Glass Noodles & Edamame at a friend's dinner party and was so taken with it, I had to ask her for the recipe before leaving. This dish is that good! Yotam Ottolenghi is a renowned chef, restauranteur and author of several cookbooks. Ottolenghi's cooking style reflects his Middle Eastern upbringing and his dishes are known to be bold and healthy, with vibrant colors. He was born in Israel and moved to London in his late twenties, where he opened Ottolenghi delis and restaurants which became enormously successful. He also writes a weekly vegetarian food column for The Guardian. I'm now a huge fan! 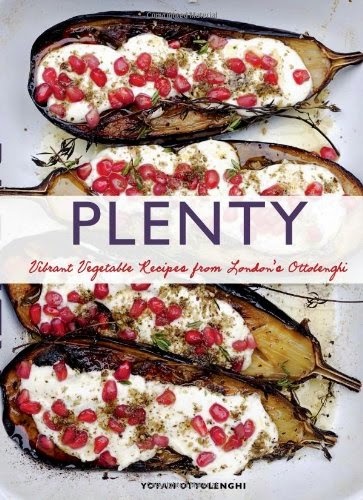 This dish is from Ottolenghi's Plenty cookbook. Click here for the recipe. I hope you enjoy it as much as I did!